In July, the government released, A 20-Year Economic Vision for Regional NSW. One of the key elements of that vision is better connectivity between regional centres, and from cities and international gateways. Premier Berejiklian said a fast rail network is a game changing project which would attract more investment and generate new job opportunities for the Central Coast. “We know fast rail would transform the way people get to and from the Central Coast forever,” Berejiklian said. “It would slash travel times allowing more people to leave the car at home and catch the train to either Sydney or Newcastle,” she added. The delivery of fast rail to the Central Coast has the potential to reduce travel times by up to 75 per cent. The NSW Government has appointed Professor Andrew McNaughton, to lead an expert panel to provide advice to the Premier on how the government should best deliver a fast rail network to connect the state. “Long distance fast and high speed rail studies have been undertaken in Australia over many years,” Premier Berejiklian said. “These studies have usually focused on linking the major Eastern Seaboard cities of Sydney, Brisbane, Canberra and Melbourne, and focused on rail as a competitor to air and road transport options. “Most of the studies found that the costs and required ticket prices of an interstate high-speed rail network would be insurmountably high compared to likely customer volumes. “Until now, limited work has been done on the potential for a fast rail network connecting regional cities within NSW. 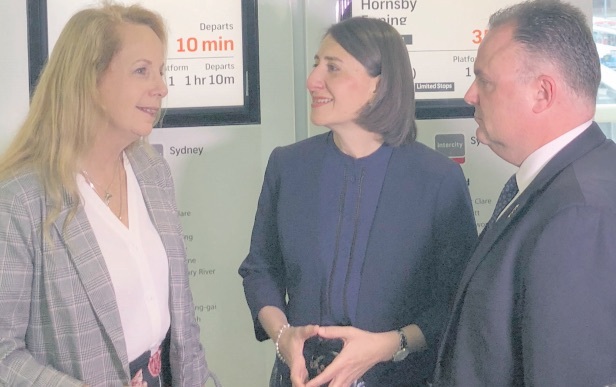 “The Fast Rail Network Strategy will, for the first time, provide a comprehensive assessment focused on connecting regional cities,” Berejiklian said. “The NSW Government is committed to moving from high-level vision to planning, and on to delivery,” the Premier continued. “Having a strategy will ensure that future investment decisions on fast rail are well considered. “Preparing the Fast Rail Network Strategy in 2019 is the first significant step in taking the network from vision to delivery,” she said. Under the Strategy, preliminary works will commence on that first stage of the fast rail network in the next term of government, if the Liberal Nationals retain power. 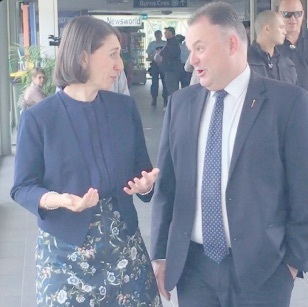 Member for Terrigal, Adam Crouch, joined the Premier in making her announcement and said a fast rail link from the Central Coast to Sydney and Newcastle would transform the region. “This announcement is also on top of the New Intercity Fleet Trains which will enter service late next year,” Crouch said. Sue Dengate, Liberal Candidate for Gosford, said fast rail will be a huge boost for the Central Coast. “Faster travel times will mean that workers can spend less time commuting and more time with their families,” Dengate said. Following the Premier’s announcement, several Central Coast government agencies, politicians, development agencies and community figures weighed in on the Coast’s possible inclusion on the fast train route. 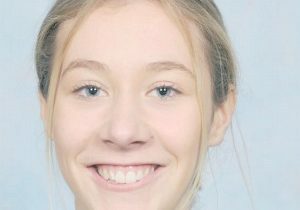 Federal Member for Robertson, Lucy Wicks, said faster rail for the region was a dream many residents of the Central Coast would like to see realised. “We have many residents who leave the Coast early in the morning and return to their families late in the evening due to job opportunities being in Sydney and Newcastle, and so today’s announcement is very welcomed. “This announcement builds on the process that was first started in September 2017 when the Federal Government launched the Faster Rail Prospectus at Gosford Station, and this Prospectus was all about calling for new and upgraded rail infrastructure to help link cities and the regions,” Wicks said. “This announcement has huge potential for the Central Coast and will slash commute times and has huge returns for residents. “This announcement is for our hard working commuters and those people who use our trains on a regular basis who want to live on the Central Coast and be linked to two great cities that surround it, Sydney and Newcastle,” Wicks said. Central Coast Council Mayor, Jane Smith, has welcomed the State Government’s announcement of a northern high speed rail route which could reduce travel times between Sydney and the Central Coast. Mayor Smith said this would make a significant difference to thousands of Central Coast residents who commute to Sydney every day, often spending up to four hours a day on a return train journey between the Coast and their destination. “We know commuting is a major issue for our community, with many Coasties having to travel off the Coast every day for work or study,” Mayor Smith said. “Reducing the commute to Sydney from around 90 minutes to 30 minutes would allow the community to have an additional two hours per day or as much as 10 hours per week for other activities at home or in their community, like spending time with their family, rather than sitting on a train,” Mayor Smith said. “This could also have a flow on effect of encouraging those who drive to Sydney each day to leave their cars at home and hop on a train, which would also reduce traffic on our major roads and deliver benefits to the environment. Regional Development Australia, Central Coast (RDACC), CEO, John Mouland, said the project will be a critical factor in growing the Central Coast economy and creating more employment opportunities. “Following the release of the Sandstone Mega Region Report earlier this year, we strongly supported the recommendation for further investigation into the establishment of a High Speed Rail (HSR) network,” said Mouland. “Improving our transport linkages to Sydney, particularly through enhancements to our rail network, could lead to the creation of an additional 3,875 jobs in Gosford by 2036. “The establishment of a fast rail network underpins the concept of developing economies of scale, as outlined in the Mega Region Report, by establishing greater regional connectivity and focusing on individual regional strengths. “Improving and increasing the effectiveness of our transportation corridors for both people and freight will only serve to benefit our local economy and support greater productivity and prosperity.” Member for Gosford, Liesl Tesch, said election pandering was coming into play. “After eight years of government, the LiberalNationals have decided, four months out from the next state election, to adopt Labor’s position for faster rail to the regions,” Tesch said. “These are the kind of hollow election stunts that saw the Liberals lose the seat of Wagga Wagga. “I seriously doubt that a government that can’t get a tram line from Sydney’s eastern suburbs to the CBD will be able to deliver fast rail to the regions,” Tesch said. Member for The Entrance, David Mehan, notched up the announcement to election pandering. “There have been no upgrades to Central Coast rail stations since 2011,” Mehan said. “On November 9, my State Labor colleagues and I announced that we will build a lift at Tuggerah Station, this remains the only firm promise to improve rail travel for Central Coast Commuters at State level. 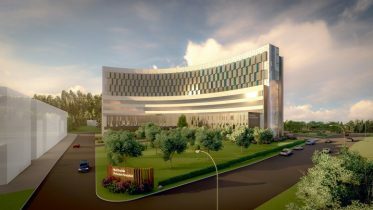 “The cost of this project is approximately $5m. “Federal Labor has promised $15m for extra parking at local stations. “The Premier has announced a report into fast rail at a cost of approximately $4m. “This will be nothing more than a desk study. “Better access and parking are the most pressing issues to address at local rail stations. “I support any study which will look at a faster journey time for Central Coast people, however, the Premier needs to commit to better access and parking at stations as an immediate priority,” Mehan said. 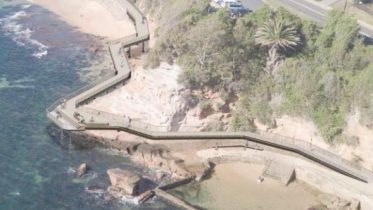 Kevin Armstrong of the Gosford Waterfront Alliance questioned the timing of the announcement. “Whether we like it or not, the Central Coast is only 70- 80km from Sydney. “No fast train in the world runs over such short distances at anything like 300kph, that’s reserved for long distance travel,” Armstrong said. Shadow Minister for the Central Coast, David Harris, said a report on the matter was completed by Labor in 2013. “So Central Coast Council has welcomed a proposal that, should the Libs be elected, they will write a report on the feasibility of a proposal,” Harris said. “Of all the routes identified, the Sydney-Canberra route is the most obvious one, as it has the more favourable terrain, but has the lowest passenger need. “The Sydney-Newcastle leg is problematic as you have the wide Hawkesbury River and the sandstone cliffs and escarpments to deal with, and it could cost $40b alone. “The report finished in 2013 stated that the cost of Brisbane to Melbourne was in the vicinity of $112b in 2011,” he added.